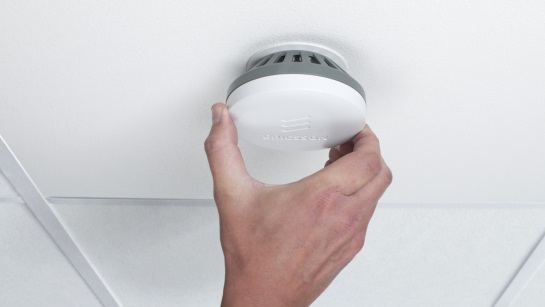 To improve indoor app coverage for mobile consumer and business customers, leading operators around the world have adopted the Ericsson Radio Dot System, an innovative indoor small cell solution commercially introduced in the last quarter of 2014. Recently, Sichuan Mobile, the largest mobile communications operator in western China, became the 100th mobile operator worldwide to adopt the Ericsson Dot System. Chen Ke, General Manager of Ziyang branch of Sichuan Mobile, says: "We are committed to delivering a great mobile broadband experience for our customers wherever they are, and with the Ericsson Radio Dot System, we bring that great experience indoors. We like the Radio Dot System because it is fast and easy to deploy, and enables us to address both current and future indoor capacity requirements by just updating the software. And it looks very nice, so our enterprise and public venue customers are proud to have it in their buildings." Arun Bansal, Senior Vice President and Head of Business Unit Radio, Ericsson, says: "We are pleased to welcome Si Chuan Mobile to the growing global family of Ericsson Radio Dot System operators. Radio Dots are improving indoor app coverage for smartphone users around the world, and with simple software upgrades, they will continue to, as mobile connectivity demand increases for both people and things." The Radio Dot System is designed to enable mobile operators to deliver consistently high-performance voice and data coverage and capacity in the broadest range of buildings. The system features the iconic Radio Dot, a sleek, ceiling-mounted antenna element that provides high-performance app coverage throughout the building and seamless mobility with the outdoor mobile network. The system is remote software-upgradable, with recent commercial software upgrades, Networks Software 16A, supporting up to 600Mbps peak rates using LTE-Advanced Carrier Aggregation, while reducing power consumption of the already-energy-efficient system. Ericsson Radio Dot System supports the same software as the operator's outdoor macrocell network, ensuring a seamless user experience and faster time to market for new performance and efficiency-enhancing capabilities. Small cell architectures like the Ericsson Radio Dot System are set to become increasingly prevalent as networks evolve towards 5G commercial availability, commencing in 2020. Mobile broadband and video demand, along with innovative new Internet of Things use cases, are driving 5G development, which will include an evolution of today's LTE and the addition of new radio access technologies.